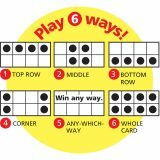 Unique six-way format adapts to a variety of skill levels. 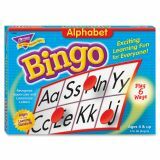 Appropriate for small groups or the entire class. Ideal for learners with disabilities or anyone learning English. Includes 36 playing cards, 264 playing chips, calling cards, caller's mat, answer guide and storage box. 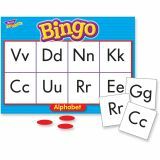 Alphabet Bingo Game - Students learn to recognize uppercase and lowercase letters by making visual or auditory matches. 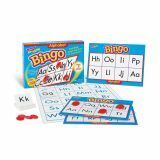 Unique, 6-way format adapts to a variety of skill levels, and is a fun learning supplement for small groups or the entire class. 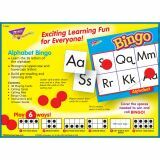 Also ideal for learners with disabilities and anyone learning English. Set includes 36 playing cards, 264 chips, caller's mat and cards, and a sturdy storage box. 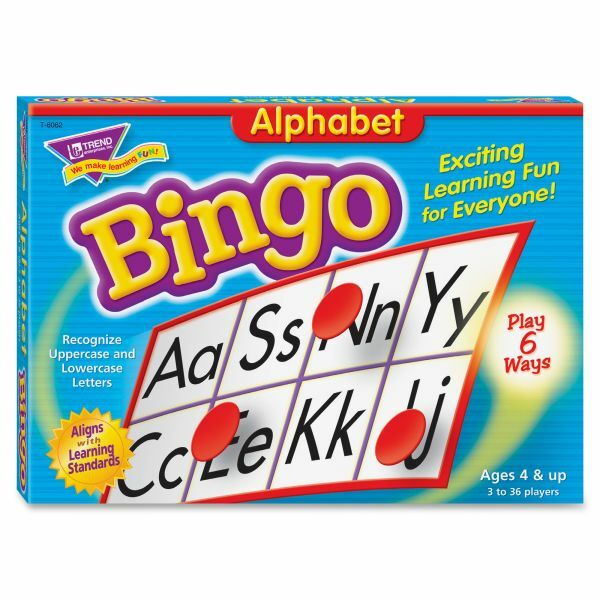 Ages 4 & up. Set includes 36 playing cards, 264 chips, caller's mat and cards, and a sturdy storage box.